ProsFirst 100kms it works fine. Good value for money. 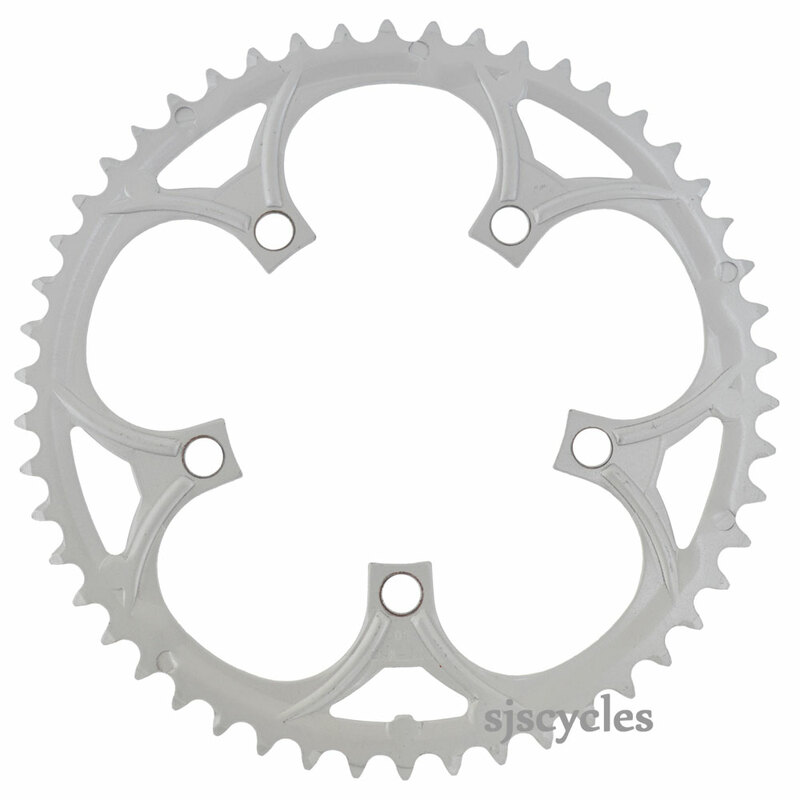 I ordered 4 of these chainrings from SJS Cycles. The delivery was very quick, the goods arrived in Ireland three days after I placed my order. This was the first time I'd ordered anything from SJS Cycles but on the basis of the service this time around, I'll certainly order again. Top notch, thanks! will this chain ring be compatible with 11 speed setup? I've got a 2012,Shimano 105 5600 10speed compact 110bdc chainset on my winter bike, the rest of the groupset is 8 speed Claris and it all runs fine... The chainring teeth are all knackered/hooked... Will I be able to fit this chainring onto my 105 cranks? Generally 7/8 speed rings will be okay with 9 speed, but we recommend using the most direct match if possible for the best shifting. 5 arm FSA vero compact square 34/50T? Can I use this to replace the outer ring of a 5 arm FSA vero square compact 34/50T 9 speed cassette? on a 18 month old Boardman hybrid comp? Thank you for your enquiry. This chainring should fit with no problems as it has the same BCD as your existing chainring, I hope this helps. my old 110 argon campag compact 50 tooth chainring needs replacing will this be compatible? What Speed Is This Chain-Ring Compatible With? This is a 3/32" ring so is compatible with 7 and 8spd drivetrains.